Most of us have gardens in our houses and we are very much interested in gardening. On the other hand, we preserve the plants but we all forget to preserve the soil which nourishes them. We can enhance the soil by means of making compost which needs only garden and kitchen waste to be produced. By composting we can nourish our garden soil prevent environmental pollution and at the same time save money which we spend on fertilizers. In this article we will share some information regarding making compost and its benefits. What is composting and its process? Choosing a location for preparing compost. Most important factor in making compost is choosing the right ingredients. We must be aware which ingredients to use to produce compost and which not to use. Essentially the ingredients we choose must be degradable so that they can be decomposed by the bacteria and fungi. Paper, fruit scraps, vegetable waste, straw, hay, sawdust, cotton rags, fur, wood rags, coffee filter, ashes, dry leaves, dead plants, egg shells are some of the ingredients which are quite degradable and help in making a rich compost for our garden. The Basic ingredients used to make compost are categorized as Green waste and Brown waste. Brown waste is the waste collected from our garden such as dried leaves, dead plants and branches. Green waste is waste collected from our kitchen such as vegetable scraps, fruit waste etc In order to make the best possible compost we have to also add a large quantity of water in the compost bin so as to speed up the decomposition process. Leaves and twigs from walnut tree should not be used in making compost. Walnut leaves and twigs will release a substance when they undergo decomposition that it is actually harmful for plants. Ashes from coal should also not be used because they can damage your plants. Dairy products, dead animas land grease or oils are also some of the items you should avoid composting because they release a bad odor which attracts rodents. In addition you should not use pet waste since parasites, pathogens and viruses which are harmful to humans are present in them. 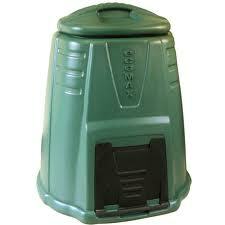 Based on the location composting is categorized into indoor and outdoor. The place which we choose for backyard composting must be dry and nearby to water. First we should mix the green and brown ingredients in the bin and then add the required quantity of water to it and cover the top of the bin to maintain the moisture within it. We should be able to get compost from our bin within two months or more depending on the ingredients which we used to produce it. How to know that our compost is ready? Finished compost will have a dark brown color with an earthy aroma. We should clear the non-decomposed or partly decomposed material from the compost before feeding it to plants. We can put that non decomposed material in another bin and leave them until it fully decomposed. We reduce the amount of money we spend on fertilizers.